Hi Jim, Good Luck with the Trout Spinners. Fishing the Blue Ridge? I just added you to the Customer Map. I had some catching up to do on year end orders. Sign me for April. dcrewso@yahoo.com. 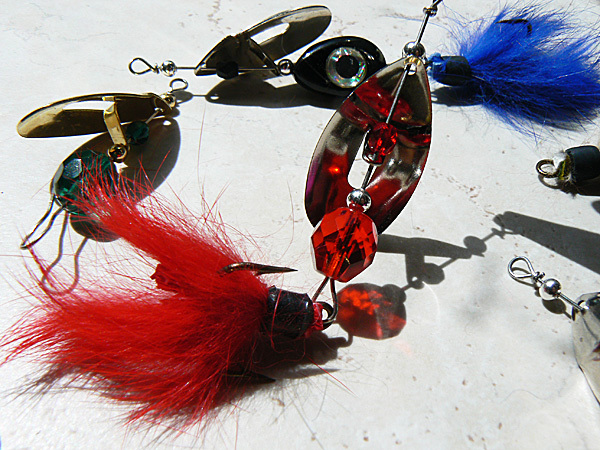 I'd love to try some of these on some Western Washington Lakes this spring! Timings right. There's a lot of FCS over in that part of the country. Good Luck~! Hope you have a good time with him. I've got a few of those helpers too. Stand Tall Grand Dad. Sign me up for April, please! This is Demir, sign me up for April - demirateser@yahoo.com. How are the angle irons for the smaller trout working?